VIT Workshop 3: Human Rights and Present / Future ICT ‒ Why and How are they Related? Building on the first two events (see recordings) of the Values of Internet Technologies (VIT) series, this third workshop will explore Human Rights and how they relate to the digital sphere. 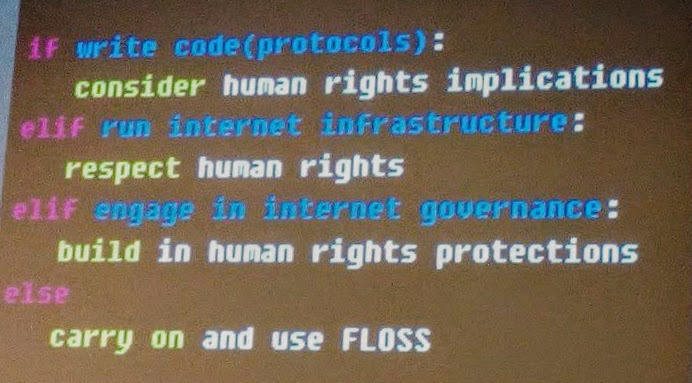 We will delve into the impact of Internet protocol design on Human Rights and look at the protocols existing today. Finally, we will discuss the potential of technology for protecting Human Rights and changes needed to strengthen this role. This workshop will be held in parallel in Zürich and Geneva with video conferencing (morning session only) on September 11. Please register below for attendance. The most recent version of the (tentative) agenda can be found at ISOC-CH.